Training Delivery and Evaluation is a accredited QQI training course. A QQI Level 6 (6N3326) award worth 15 credits. Also, one of 2 components of the new QQI Training & Development Special Purpose Award(6S3372). Evidence demonstrating to potential clients and employers that you are serious about your career in professional training. An opportunity to increase your career potential. While also developing your confidence and skill as a trainer. 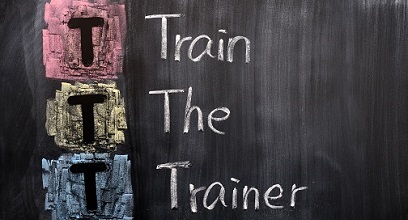 Access to the tools to equip yourself with the skills and knowledge to run training courses. Furthermore that these skills will inspire and motivate your attendees. 3 Easy Steps To Get QQI Certified? 2. Complete and submit your work assessment. Register Today to gain the skills and certification required to become a successful recognised trainer. Please note the Cork dates August 19, 20 & 27 will be held in the Radisson Blu Hotel, Little Island and September 2 will be held in Chris Mee Group, Cork Office. Assessment: Assessed by learner record, project and presentation skills.